The handcrafted Balance Kukri is actually balanced and can stand upright/still (horizontally as shown in the picture) on any pointed fix edge. However, surprisingly special balancing feature has no any special purpose. The blade of this beautifully shaped knife is one of the most difficult to craft, as it should be made in such a way that the weight of the blade and the handle are precisely equal so that it can perfectly balance in a center point. 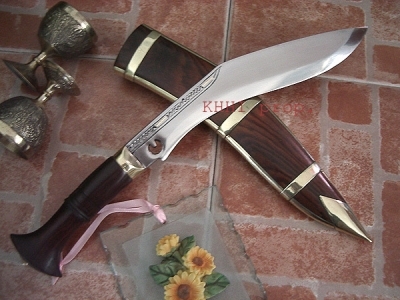 Blade: It is a 9” blade with mirror polish finishing. 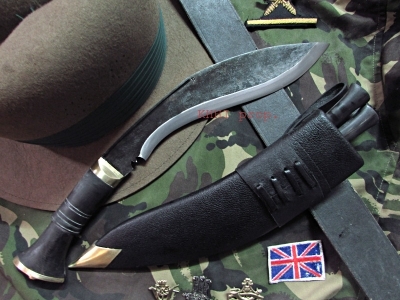 The blade is forged slightly curved so that the maker can distribute the weight of the blade and handle evenly in order to achieve the balance position of the kukri. The unique curved shape of the Balance also resembles the aboriginal weapon called ``Boomerang``, however nothing to do with the latter’s exclusive function. 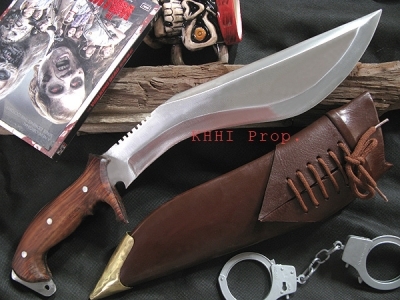 Handle: Balance kukri has a horn handle with exterior part of the handle in the middle section has rings for extra grip. This handle is further secured by metal bolster at the top and metal pommel at the bottom. 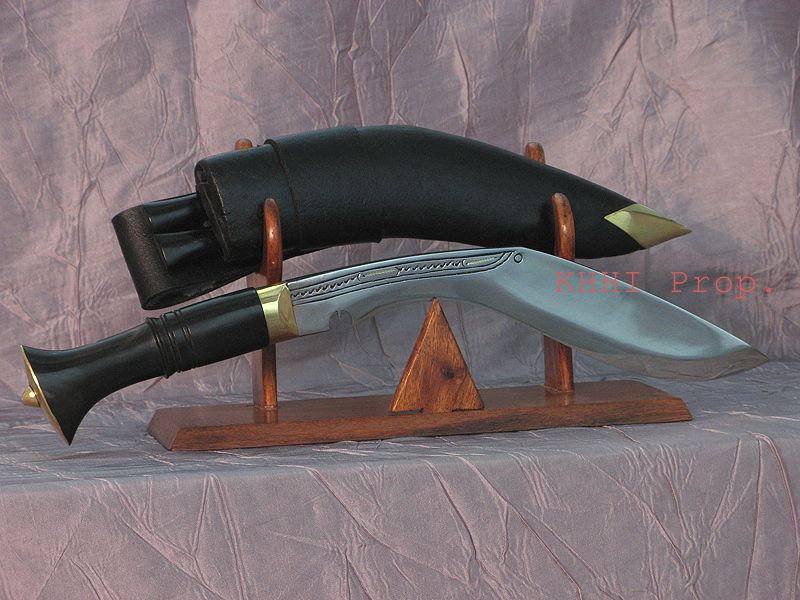 Sheath: The sheath of this kukri is kept simple made from black buffalo hide. The tip has a brass chape to match the handle but more so for extra caution to prevent the tip from bending if it pierces the leather. 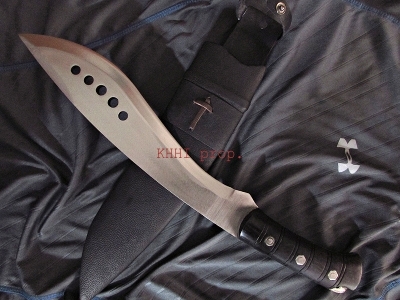 The sheath has two small housing for karda and chakmak.